Police are looking for a driver Friday who hit a pedestrian and then took off in El Cajon. EL CAJON (CNS) - A motorist fled Friday after striking and seriously injuring a pedestrian in El Cajon, police said. 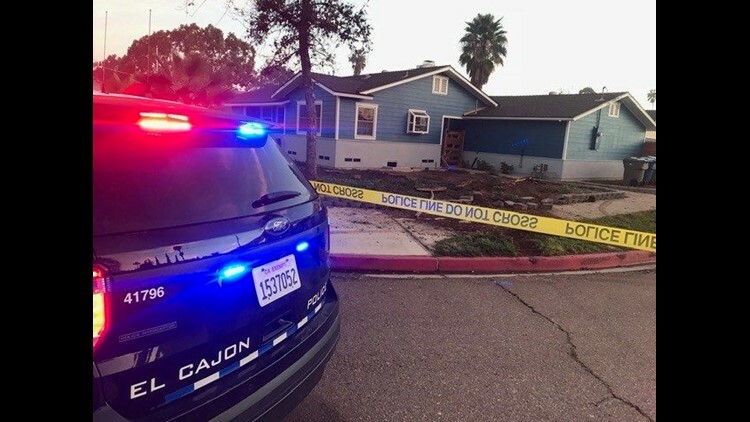 The hit-and-run collision occurred around 5:45 a.m. near the intersection of Ann and Mary streets, El Cajon police Lt. Keith MacArthur said. Witnesses told officers the pedestrian was arguing with the driver of a vehicle, described as a dark colored SUV, before the driver struck the victim with his vehicle then fled in an unknown direction, MacArthur said. The victim, a man believed to be in his 30s, was taken to a hospital for treatment of serious but apparently non-life-threatening injuries, the lieutenant said. A detailed description of the driver was not immediately available. Anyone with information about the crash was asked to call El Cajon police at Tel: 619- 579-3311.